Volunteers and leaders struggle with successfully delegating tasks to free themselves up to do more work. Here are two essential tips to make sure you delegate properly. You have to trust the person you are delegating to. Once you trust them, they should be empowered to do the job – not constantly looking over their shoulder. The largest barrier to trust is that people often don’t trust others to do the work correctly. This is where the second tip comes in. Delegate the end result. End results are clear and tangible objectives. For example, organize an iftar to be attended by 100 people including University faculty and staff. This type of delegation empowers the individual to see the finish line and run to it. If you delegate tasks or actions, then you will be constantly micro-managing the person, and therefore losing their trust. 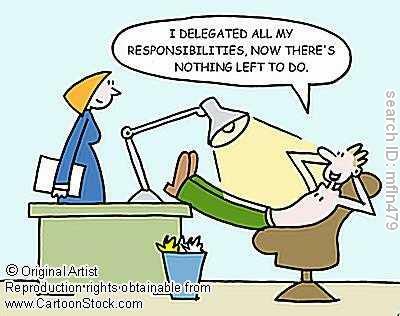 Delegating things like “call the caterer and find out how much they will charge” is a bad example of delegation. You would need to wait, find out the result, reassess, then give them another task to do. The person you delegate to will also feel like you are simply pawning something off on them. A better way to delegate would be to say “arrange a caterer for this specific date, for this number of people, and stay within this budget.” This removes you from having to constantly check over every step of the way, and the other person is empowered as well. They know precisely what needs to be accomplished. Your follow up in this regard is to simply remind them of the end task and make sure they are making progress to meet the deadline. You no longer need to be concerned with which caterer, and how much each is charging, and things like the logistics of delivering the food. You have identified your bottom line issues and empowered someone else to do it.